Sasikala’s elevation, Panneerselvam’s resignation, the backlash that followed and his retaliation after that have all happened over three days. Even as Sasikala’s moves and challenges are analyzed and the state awaits the Governor’s response to determine next steps, the suspense needs to end soon in the interest of the State. 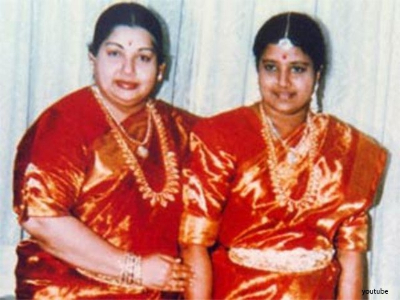 Three individuals are busy proving themselves as heirless Jayalalithaa’s hypothetical heir. This is Tamil Nadu politics at its best. Or worst. What happened on Sunday and since then? V.K. Sasikala assumed the mantle of leadership at a meeting in AIADMK’s headquarters where she was “unanimously” elected to lead the Legislature Party. O. Panneerselvam, who has served as Deputy CM since then, put forth her name for his post and made it known that he would fax his resignation to the Governor. Each of the 136 MLA’s in the meeting supported his choice. Sasikala for her part hailed his loyalty and said he had persuaded her since Jayalalithaa’s death to succeed Amma. The next day the Governor replied to Panneerselvam’s request to resign for “personal reasons” and accepted his resignation. He also asked Panneerselvam and his Cabinet to carry on “until alternative arrangements are made”. 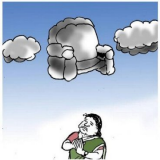 This elevated Sasikala’s position to the front of the CM’s chair. It seemed then, that all that was required was a formal invitation from the Governor for her swearing in. Backlash and tensions erupted from various quarters and took on different forms when the decision was made public. Panneerselvam also suddenly shifted his stand from accepting the situation to coming out in protest of it. Sasikala, if and when she becomes CM, will be the third woman CM of Tamil Nadu and the fourth person to be sworn in as CM of the state without being elected to the Assembly - C.N. Annadurai in 1967, V.N. Janaki (MGR’s widow) in 1987 and Jayalalithaa in 2001 had done so. 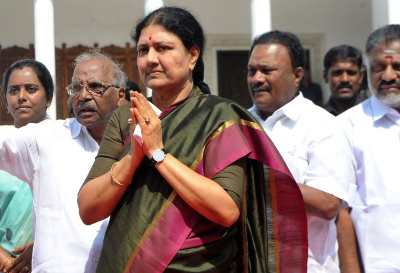 Why do some feel Sasikala’s elevation is bizarre? She had no formal experience in politics till she was elected General Secretary of AIADMK. Though all eyes were on her following Jayalalithaa’s death, the speed and abruptness of the transitions appears to stun. Moreover, she was already frowned upon as a power monger and the secrecy around Jayalalithaa’s illness fuelled further suspicions. Even as Panneerselvam was being praised by the media and the BJP Government for handling his job effectively the propaganda for Chinnamma as CM set off in full swing soon after Jayalalithaa’s death. The unabashed propaganda by AIADMK leaders for an inexperienced candidate who can hardly boast of possessing mass appeal seems bewildering. The party’s elected representatives reserve the right to choose their next leader in the case of demise of a leader who has not nominated a successor, points out G Babu Jayakumar, in Hindustan Times. He also notes that before Sasikala, Annadurai, Karunanidhi and Jayalalithaa faced a lot of wrath from the elitist media and the intelligentsia. Jayalalithaa even earned the ire of her own party members for a large part of the 80s. Politics in Tamil Nadu has reached way beyond a point – which was reached around MGR’s time – so that freebies and self-lionization, and not social divisions, form the core areas of competition between the two leading parties, points out TR Vivek in Scroll. Such a situation can churn out only Chinnammas and the like, he infers. 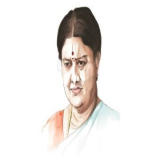 As to why Sasikala, and not anyone else, an observer notes the advantage she possesses – she can utilize the barrage of accusations hurled at her and “portray herself as the “ideal victim” who has relinquished all and is bearing the brunt for her devotion”. 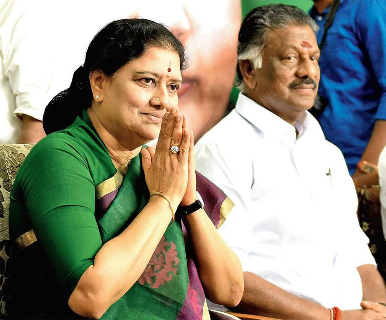 If as should happen, an election takes place now, the image, if carried forth with conviction, might be a weapon worth wielding.She could also use the loyalty of the candidates she played a major role in choosing and later allege that Panneerselvam dances to the BJP’s or the DMK’s tunes. Another argument points out it was the best time for her to make a move – an earlier attempt would have worsened the existing suspicions about her and a later attempt might have been too late as Panneerselvam would have gained stronger support from the public by then. When did the journey start for Sasikala? It can be said that the journey that brought Sasikala where she is started when she met Jayalalithaa or soon after that. The meeting was facilitated by V.S. Chandralekha, an IAS officer, who worked closely with MGR and Sasikala’s husband Natarajan. The acquaintance grew into friendship and during the time of MGR’s hospitalization, Sasikala reportedly began to run Jayalalithaa’s house for her. She also stood by Jayalalithaa through the tumultuous time post MGR’s death. In 1989, she joined Jayalalithaa at Poes Garden, the late CM’s residence and is said to have brought along 40 domestic helps from her hometown. It did not take long for Sasikala and her kin to take advantage of her position and the power it brought. 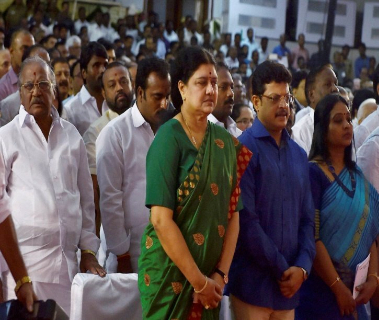 They also dominated in the image the party projected and its functioning.The unabashed and even mindless display of wealth and power is said to have crossed limits at the wedding of Sasikala’s nephew who Jayalalithaa had adopted as a foster son. The garish display of wealth by Jayalalithaa and Sasikala led to a rupture of the people’s trust and a defeat in the state elections in 1996 followed. Though Jayalalithaa kept away from Sasikala after her arrest, it was only for a short while. In 2011, Jayalalithaa expelled Sasikala and 14 of her family from Poes Garden. The action was taken following reports of Sasikala and her kin scheming to assume power if Jayalalithaa was arrested on the basis of corruption charges. Sasikala apologized in a letter made public and was reinstated by Jayalalithaa. They were arrested in 2014 in relation to a disproportionate assets case. Following Jayalalithaa’s illness and death, Sasikala’s visibility and control increased. Sasikala is said to have been instrumental in choosing the current cadre of AIADMK MLAs – she had been involved in this since long. Where are the other visible contenders? So far one contender from the family and another from Jayalalithaa’s inner circle have made themselves prominently visible. Deepa Jayakumar, Jayalalithaa’s niece, announced her intent to enter politics in January. She said she would detail her plans on February 24th, the day Jayalalithaa was born. She also made it seem she was acting “on behalf of the people”. Following Sasikala’s election by AIADMK MLAs, Deepa, at a media conference, objected, “It is a very sad day for Tamil Nadu, she is not a person the people voted for... only a democratically elected leader should become the Chief Minister.”. A London-educated journalist, Deepa made news after alleging that she had been prevented from visiting her aunt in the hospital and even to pay her last respects. At the media conference, she responded to doctors’ dismissal of suspicions over Jayalalithaa’s death saying their claims could not be accepted. 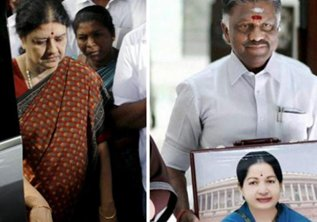 Panneerselvam who also is known to be a long-time trusted aide of Jayalalithaa – and took her place as CM when she was ill and on earlier occasions when she could not hold office – apparently underwent a change of conscience after visiting and meditating in front of Jayalalithaa’s memorial at the Marina Beach on Tuesday. He said Amma’s spirit had strengthened him to reveal the truth.He was forced and humiliated into resignation and would assert his voice and seek to withdraw his resignation if the electorate wanted him to, he said. He has even ordered an inquiry into the circumstances leading to Amma’s death, adding to the suspicions of foul play. 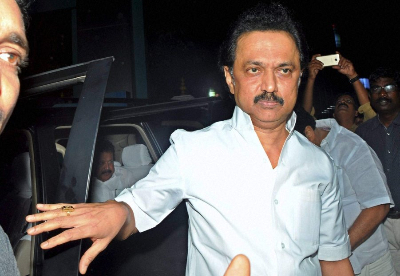 DMK leader Stalin responded to the situation and said, “The governor should call for Assembly immediately and should ask to prove the majority”. He added that the governor should do take the constitutionally right action and Panneerselvam should make preparations to form the government. Who have responded so far and who is expected to? Chennai-resident Senthil Kumar filed a PIL on Monday in which he sought the Supreme Court’s intervention to restrain Sasikala’s swearing in on the basis that the apex court was expected to state its verdict on a corruption case in which she and Jayalalithaa were accused. The PIL was not listed for hearing on Tuesday owing to some defects. The petitioner had sought the services of a lawyer to resolve the defects, said sources. The state Congress Committee opposed the choice of Sasikala as CM; its former president E.V.K.S. Elangovan said the move distorted democratic values. Stalin also pointed out that it was Panneerselvam that Jayalalithaa had chosen to take her place when was jailed and when she was hospitalized. "Till Jayalalithaa was alive, she did not give any post either in the party or the government to Sasikala," he said. Majority of the reactions on social media opposed the decision; the core of their argument being that Sasikala had not contested and won even one election till date. #Sasikala, #TNSaysNo2Sasi and #RIPTN trended in Chennai. Sarcasm and ridicule were also liberally used by netizens: “Nowadays it's easier to become TN CM than to find an ATM that gives out 100 rupee notes.”, “Panneer is always a starter in TN, never main course.” Post Panneerselvam’s retaliation however, #OPSMyCM became a part of several tweets. AIADMK leader H. Pandiyan strongly opposed Sasikala’s increased importance. He said, “The way she was elected as the general secretary in a hotchpotch manner, however, by the blessings Jayalalithaa and M.G. 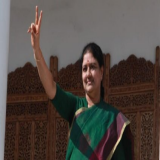 Ramachandran, the swearing in ceremony of Sasikala did not take place.” Later Tuesday expelled party MP Sasikala Pushpa said Election Commission should not accept Sasikala Natarajan as interim General Secretary. The Centre’s reaction at a crucial time in Tamil Nadu and for the BJP to a person it clearly did not favor also remains to be seen. 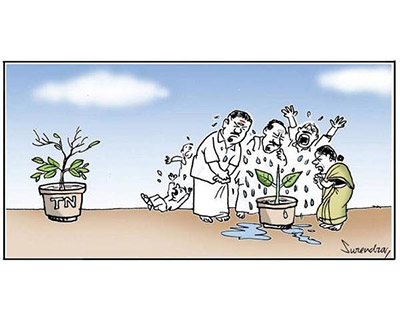 How does Tamil Nadu’s future look? Both leading parties, DMK and AIADMK, that have controlled TN for nearly 50 years have experienced change of leaderships. The new candidates inherit a legacy that owes its making to a succession of personality cults and centralized powers – strategies the Tamil Nadu electorate helped nourish as such a form of governance historically ensured efficient distribution of resources in a society where caste divides run deep. Cut to the present and one finds confusion in the political atmosphere even as Tamil Nadu’s farmer crisis, Cauvery water dispute among other serious issues wait to be addressed. As Narayan Lakshman points out in The Hindu: The willingness to carry on playing Musical Chairs in politics should be measured against the risk of instability in a State that is still coming to grips with the string of shocks that it has faced in recent times. K. Venkataramanan in The Hindu puts forth some of the possible directions ahead for the state. A lot rests on the Governor. While the Governor has accepted Panneerselvam’s resignation, he has the authority to ask him to prove his majority in the house. With 233 members in the present house, the support of 117 MLAs is required to establish a majority. If the Governor finds a “breakdown of constitutional machinery” in the State, he can invoked article 356 of Indian Constitution to initiate steps to the imposition of President’s rule. While Sasikala can declare Panneerselvam a non-member of AIADMK, he remains caretaker CM till replaced – a choice again for the Governor to make. While Panneerselvam’s retaliation has made the divide within AIADMK clear, the anti-defection law – which requires a substantial faction-strength – could cause the AIADMK to hesitate to split.